In the early 1900s, the union erected children's homes in Stockton — four in Hartington Road and four in Windsor Road, accommodating a total of 120. 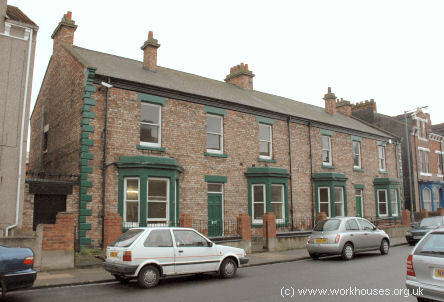 Stockton Hartington Road homes, 2005. Stockton Windsor Road homes, 2005. 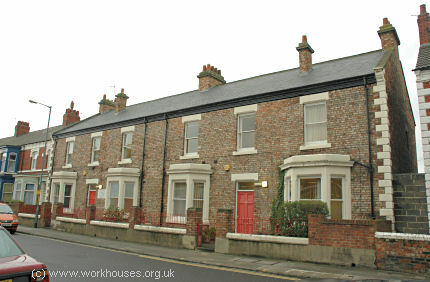 The Hartington Road houses are still owned by the local council — two are used for offices by social services and two were until recently being used as temporary accommodation for homeless families etc. 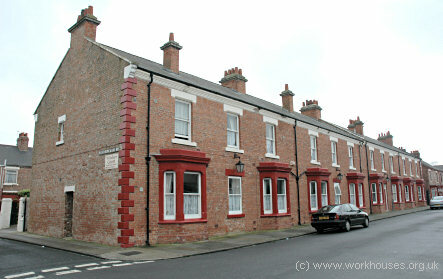 The former Windsor Road homes are now used as a residential care establishment. Durham County Record Office, County Hall, Durham DH1 5UL. Holdings include: Guardians' minutes (1888-91, 1895-1930); Admissions and discharges (1915-32); Registers of children (1900-46); etc. Turner, JJ (1984) The Guisborough, Middlesbrough and Stockton-on-Tees Poor Law Union Workhouses 1837-c.1930 .